The Albina Building, Larrabee and Albina, 1927. Portland Archives A2009-009.2471. This building on the corner of Larrabee (Interstate) and Albina was originally built as a hotel in the late 1890’s or early 1900’s. The building looks like it was a triangle, however it was actually shaped like a “V”. At the top of the building, over the corner entrance, are the words “The Albina”. 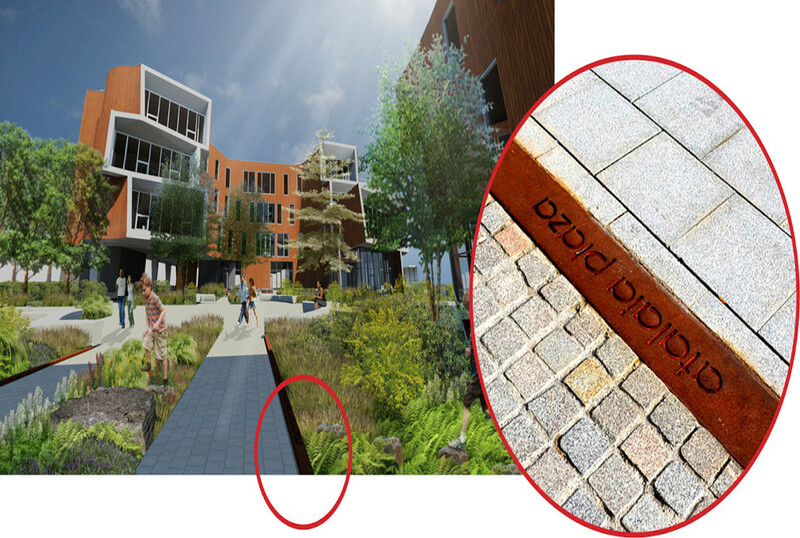 It appears there is additional text above in the shadows, but it is unreadable – or perhaps it is ornamentation. 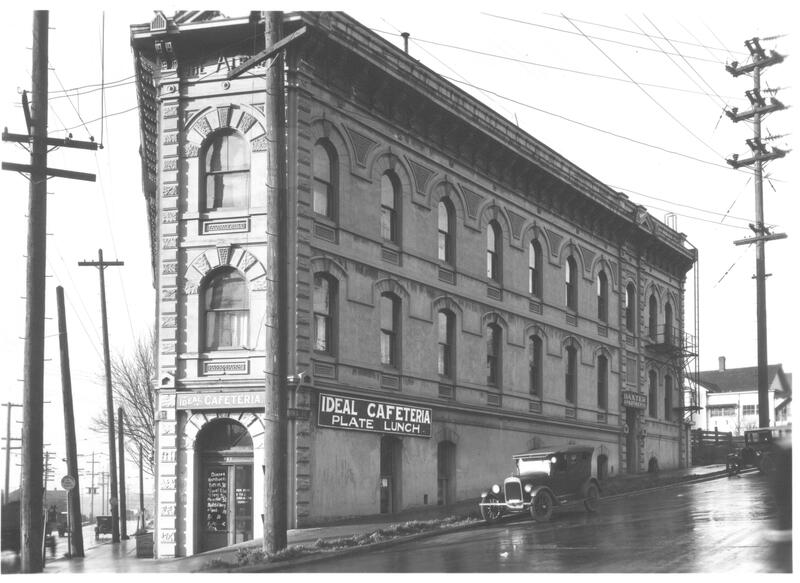 In 1929, The Albina was home to the “Ideal Cafeteria” and the “Baxter Apartments”. Union and Knott 1929. Portland Archives A2009-009.1053. These twin houses on the corner of Union and Knott were built in 1900. By 1929 Union had already become a busy street and the houses had started the transition from residential to commercial. “Dr Muck Dentist” occupied the second floor of the house on the corner. 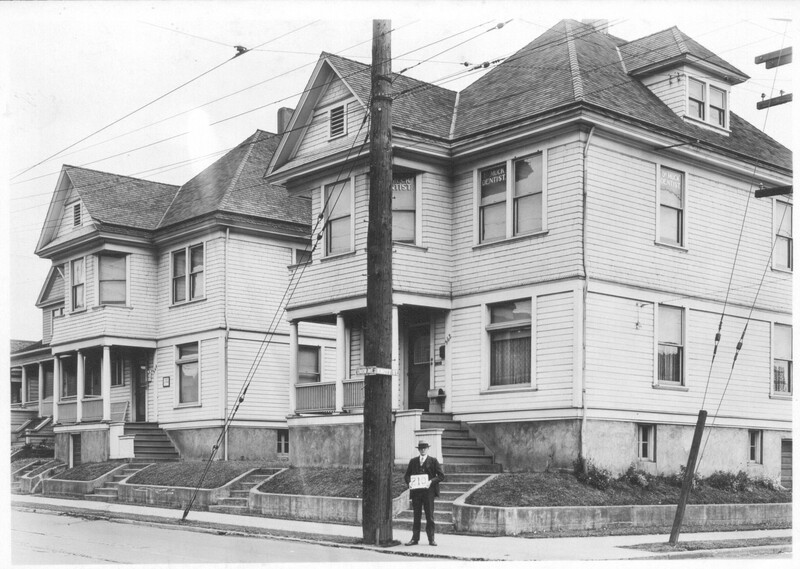 Over the course of his dental career Dr Earl C Muck had his office in different nearby locations on Union. Notes from Eliot Neighborhood Association Land Use and Transportation Committee meeting January 26, 2015.